Whether you require a removals Swindon company for a small or large property, we can help you every step of the way. If you don’t have so much to move then our fully insured Man with a Van Swindon service is perfect for you. If your business is moving premises then we can help with that too! Insured, prepared and smooth and efficient. We are able to provide a full packing service if required for our removing and movers service. When your business needs assistance moving or transporting be sure to call the professionals. We appreciate not everyone needs a full day, so we also offer our services at hourly rates too. 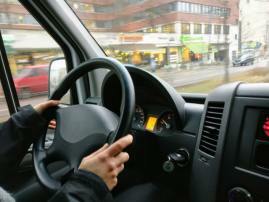 All our vehicles, drivers and goods in transit are fully insured. Although we do take extra care too. Great service, safe transit, peace of mind. A huge 60% of our work is referrals from very satisfied customers, we’re also recommended by Big Yellow Storage. We know how stressful moving can be so it is our job to make your move as stress and hassle free as possible. From start to finish, and always with a smile. We are professional, friendly and always 100% reliable. Rest assured we will take care of your goods, the transit and leave you thankful for using us. Removals Swindon company Robbins Removals has been helping people move since 2006. 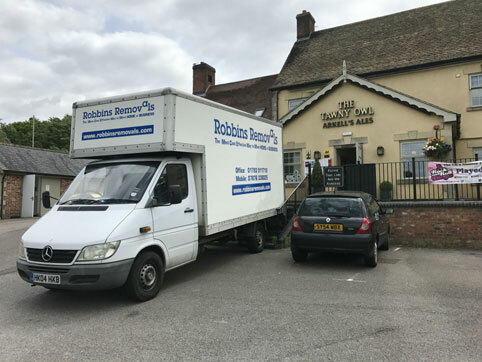 As a tried and trusted company that has built up an enviable reputation over the years, you can be assured your possessions are in completely safe hands when you choose Robbins Removals. What makes Robbins Removals stand out from other removal companies in Swindon is that 100% personal service is guaranteed. From start to finish, you’ll deal directly with Jon Robbins, the founder of the business. If you have any queries or concerns at any stage of the moving process, John is more than happy to assist. With his experience and know-how, you’ll feel confident that the move is going according to plan. It stands to reason that you’ll want a quality removals Swindon company that will take great care of your belongings. At Robbins Removals, we treat every move as if we’re dealing with our own possessions, so the utmost attention and consideration are ensured with every single job. High-quality service is at the core of our business, from the moment you get in touch to the second we deliver the last box. If you’re looking for removal companies in Swindon that offer great value for money without compromising on quality, safety or standards, you’ve come to the right place at Robbins Removals. We’re so confident of our competitive prices, that should you find a cheaper quote elsewhere, we’ll be more than happy to beat it. We work with our customers to ensure you get the best price to suit your needs, so we can also offer hourly rates if this proves more cost-effective to your personal situation. Unlike some removals companies, our prices are completely transparent. With no hidden fees or VAT, you won’t get any nasty surprises when it comes time to pay. Whether you need just a man and van to move a single item down the road, or lorries to load up your house and relocate to the other end of the country, we’re more than willing to take on any job of any size. No matter how big or small the job, you can expect the same level of dedication, quality and care from Robbins Removals. Our removal companies Swindon services also cover transportation of specialist items such as pianos, so if you have any possessions with unique requirements, or are delicate, large and expensive, get in touch with us. It’s not just house moves that are our forte; we’re also experts at assisting with business moves, so if you are relocating to a new office or company premises, we’ll ensure a smooth and seamless transition. 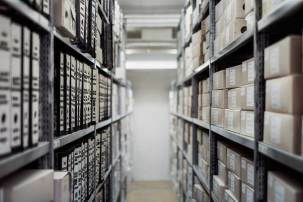 Should you decide that you need to put your possessions into self-storage, allow us to organise this for you. For a number of years, we have built up a close working relationship with Big Yellow Self Storage, who are as passionate about delivering a quality service as we are. Robbins Removals has grown rapidly since its inception in 2006, and much of this growth is thanks to our expanding base of loyal, repeat customers. With a large proportion of our work coming from customer recommendations, the levels of satisfaction our customers receive and the great lasting impression we make pretty much speaks for itself. Don’t just take our word for it, however. Take a look at our many customer testimonials and you’ll quickly be convinced of our high-quality credentials. Moving is stressful, there is no doubt about it. But, at Robbins Removals, it’s our goal to eliminate as much stress as possible from the moving process. At every stage of getting your belongings from A to B, we take the hassle out of the equation. Whether you need help with packing, advice on how to pack efficiently, or assistance with arranging self-storage, our removals Swindon business is here to help. We pride ourselves on being friendly, professional, polite and totally reliable, thus ticking those all-important boxes that ensure a stress-free experience. For additional peace of mind, it’s also good to know that we are fully insured. Get in touch with Robbins Removals for a great value quote.